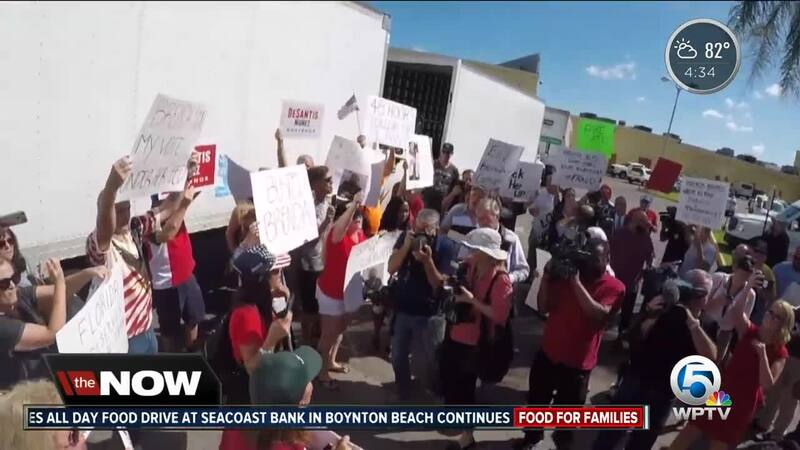 Protesters showed up today at the Broward County Supervisor of Elections vote tabulation center. Broward Elections Supervisor Brenda Snipes said she didn't know how many ballots remain to be counted, but all were being processed. She also did not know how many provisional, military and mismarked ballots need to be counted. Her department's website said ballots cast on Election Day have been counted. UPDATE: Broward County Supervisor of Elections handed over voting records Friday in compliance with judge's order, according to a representative for Governor Rick Scott. 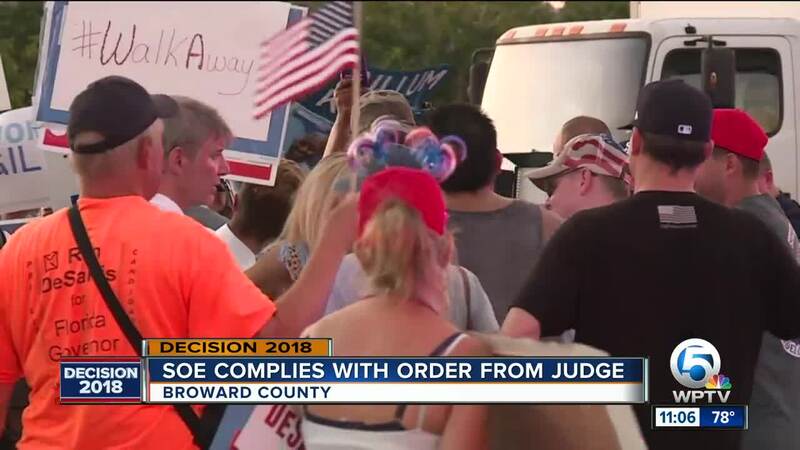 Protesters showed up today at the Broward County Supervisor of Elections vote tabulation center. Friday morning President Trump said: "Look, look, bad things have gone on in Broward County, really bad things." 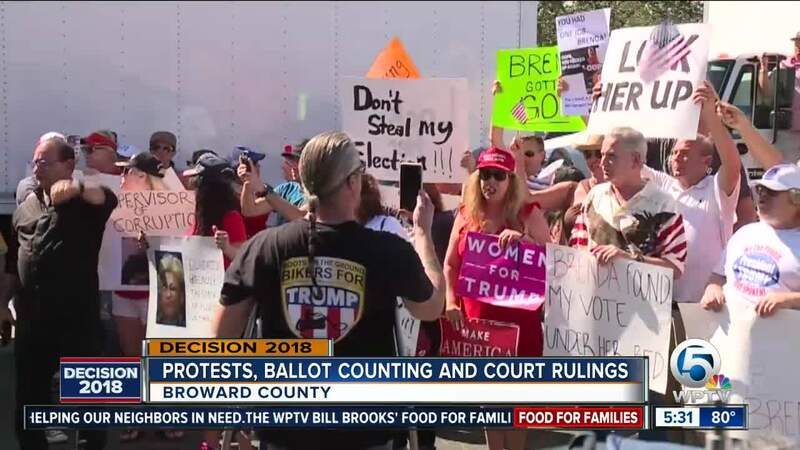 Trump, Rick Scott and Ron DeSantis supporters at the elections office brought signs with sayings such as Brenda is owned by Hillary and Snipes Democrat voter fraud lock her up. 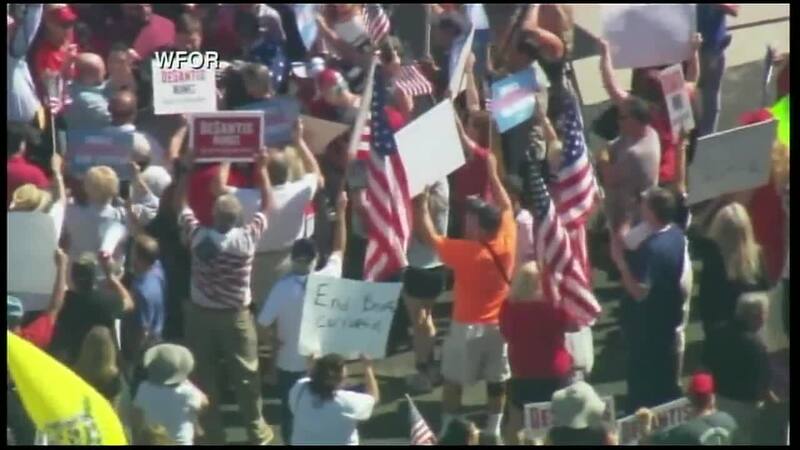 They also chanted “Brenda Snipes has got to go” and "fake votes” don’t count. Information from CNN Newsource and NBC 6 was used in this report.